Cheez is an image cataloging tool. 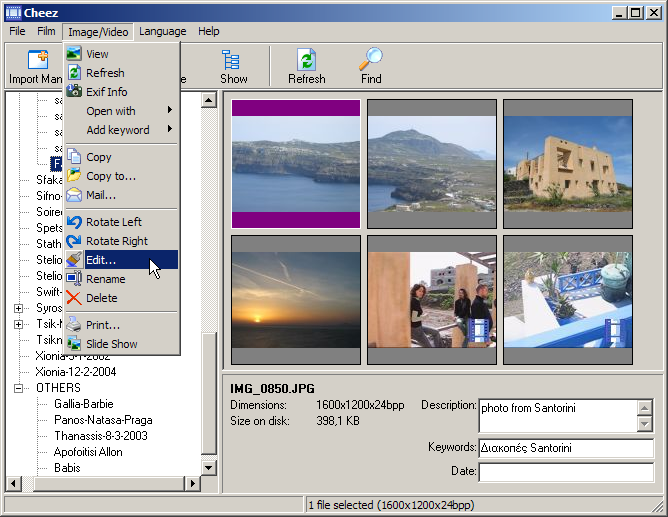 It can store descriptions for images and offers a search utility. Includes many image formats, slideshow, and web albums. 12 languages supported. Help us build the largest freeware directory of free software downloads by submitting your downloadable freeware today. Find more listings like Cheez by browsing the freeware category Utilities.